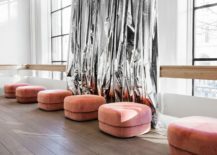 It would seem that velvet-covered furnishings are in vogue, with designers conceivably influenced by velvet trends on the catwalk and the popularity of velvet with the celebrity set (Vogue.co.uk, 2017). Velvet refers to the structure of the fabric as opposed to the actual fibre—it is distinguished by its soft touch and glossy sheen, and has a pile weave structure. Fine yarns, usually made from linen, mohair, silk, wool and cotton, are woven into small loops in one direction. 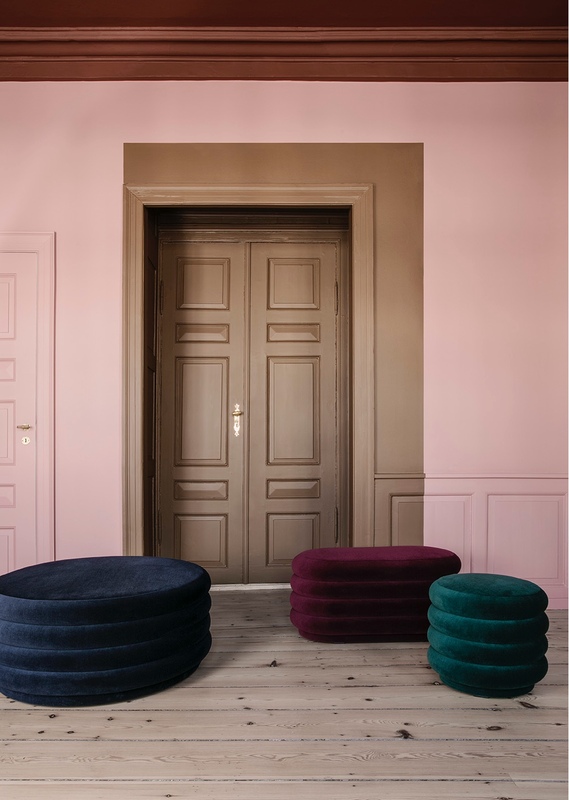 The Wind velvet pouf by Broste Copenhagen. 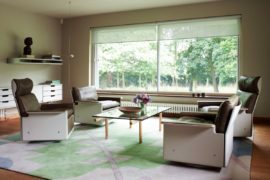 With advancements in textile technology, velvet’s use with various types of furnishings (from coverings to curtains to cushions) has been made easier. An expensive and lush fabric, velvet is known for its opulence and grandeur. 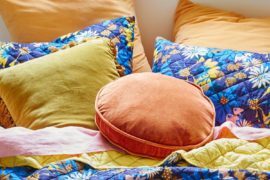 In many ways, it can be argued that such a reputation has tarnished the fabric’s character—velvet can be viewed as extravagant, gaudy and tasteless. Indeed its place in smart, modern interiors is often questionable. 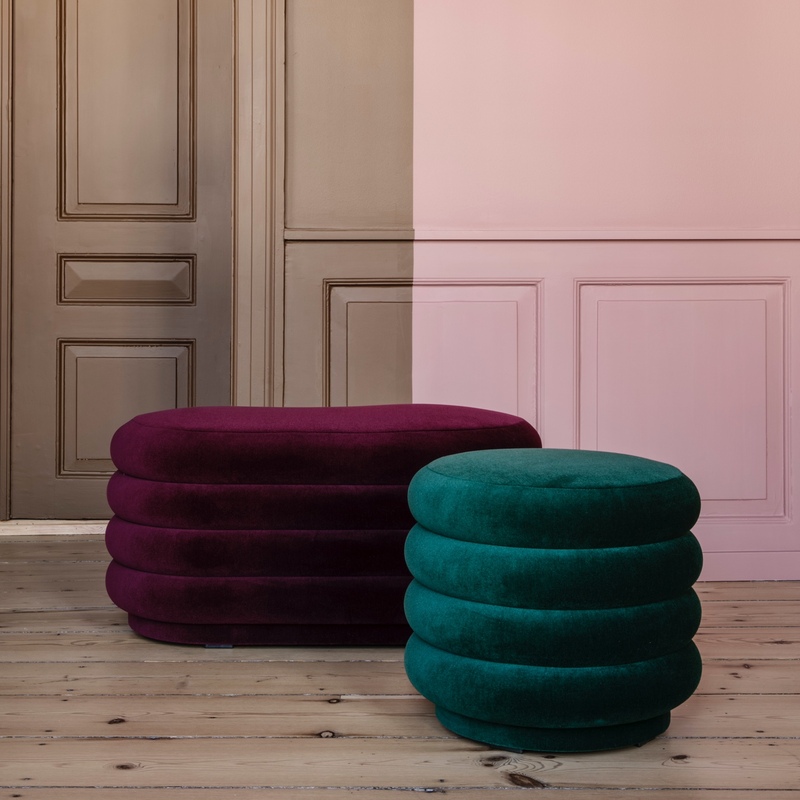 Medium oval pouf in Bordeaux velvet and small round pouf in dark green velvet by ferm LIVING. 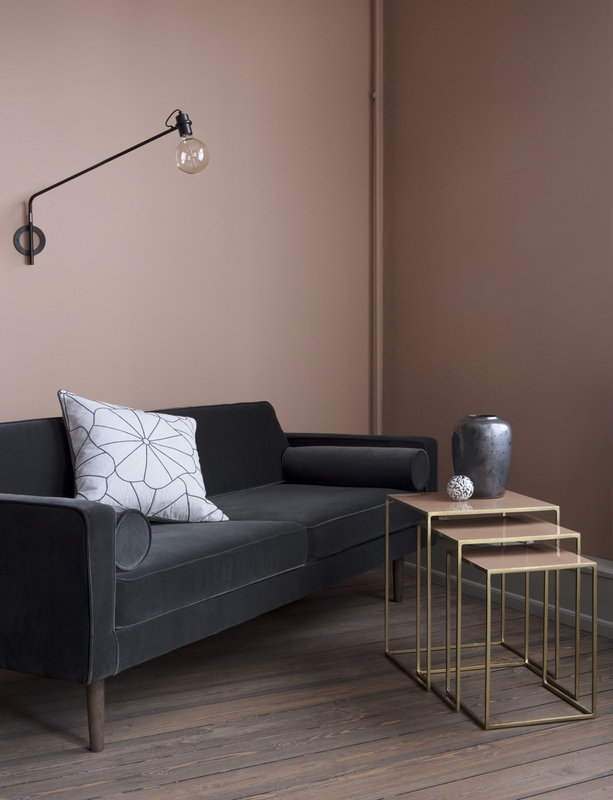 Perhaps with such a contention in mind, a number of brands and designers have risen to the challenge and created a range of contemporary velvet furnishings. And more than a fad or trend, these furnishings have a lifetime of appeal. 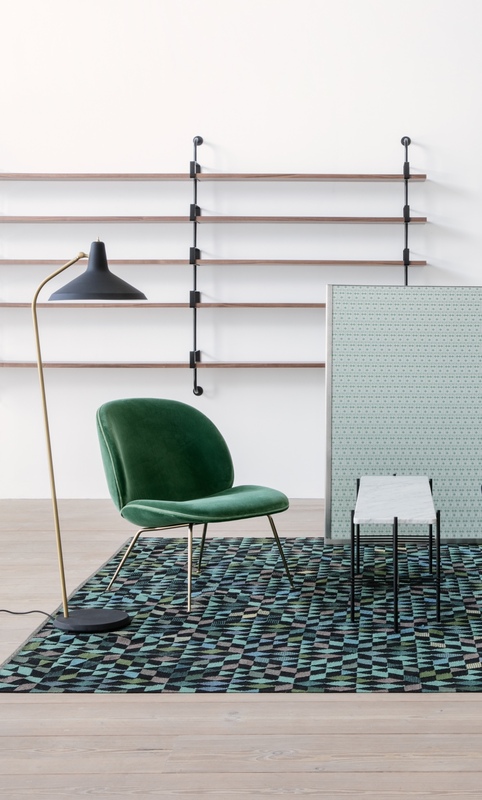 Danish brand has launched its first furniture collection. Known as Wind, the collection consists of a sofa, chaise longue, pouf and armchair. 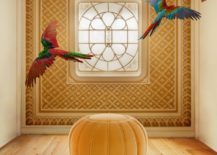 Beautifully crafted and appointed, every piece is upholstered in sumptuous autumn-coloured velvets. With a minimalist profile, the Wind series is striking and strong, and the use of velvet adds a pleasing, tactile quality. 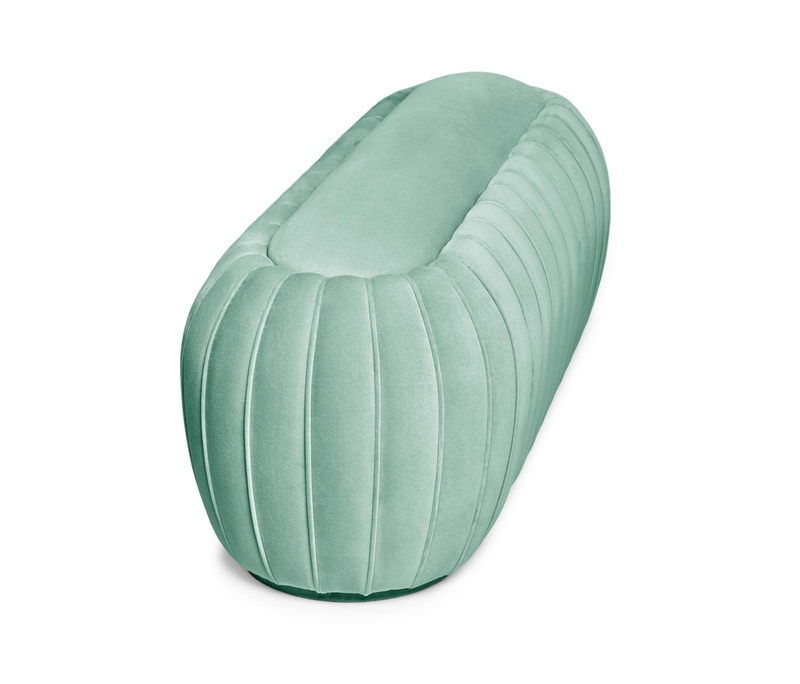 The Wind pouf and chaise longue by Broste Copenhagen. The Wind sofa and pouf. 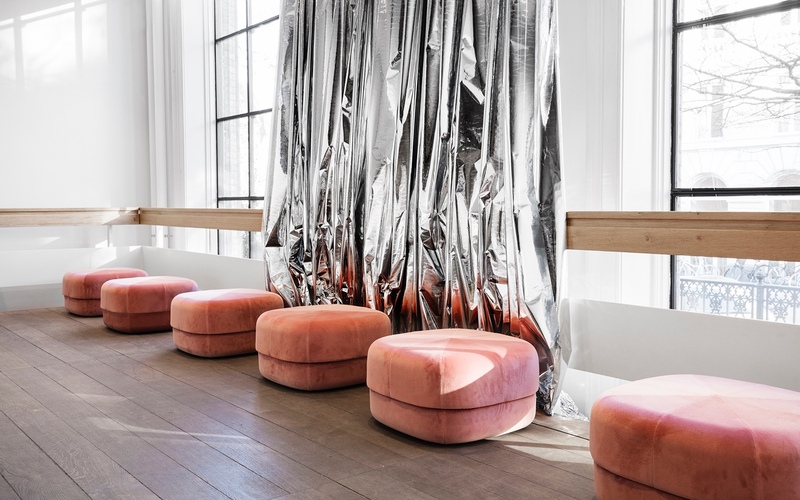 The Circus Pouf was created by Danish designer Simon Legald for . 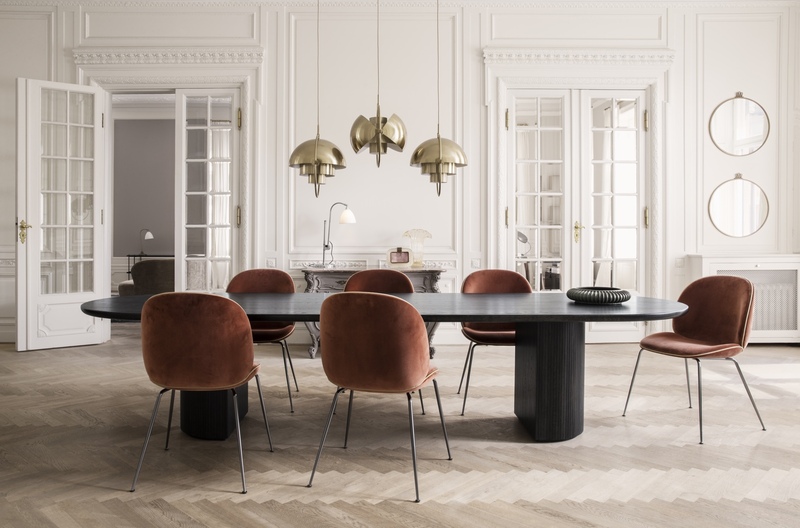 With its rounded shape and graphic lines (using an unfussy triangular design), the pouf is a contemporary interpretation of the antique Moroccan leather pouf. 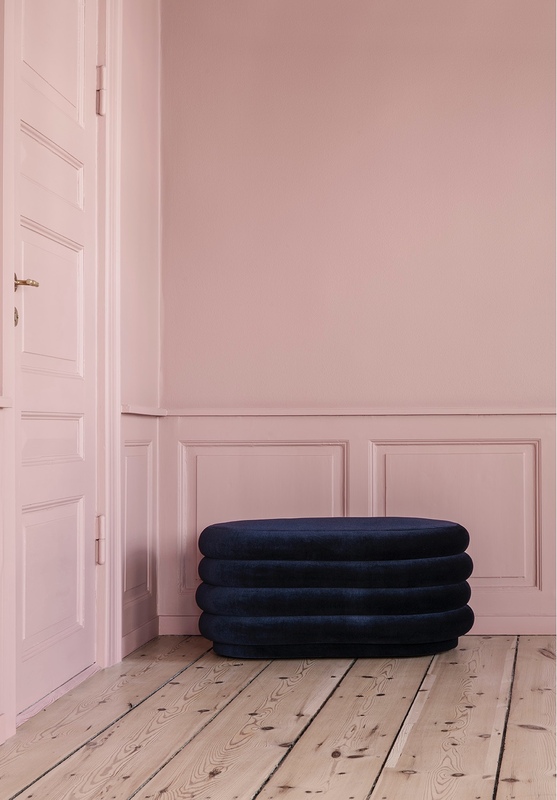 Minimal in form, the Circus Pouf is doubtless an inviting, expressive piece—perfect for sitting, resting tired feet or using as a coffee table. The Circus pouf is covered in a luxuriously woven, deep and textured velour (a fabric with a similar look and feel to velvet). 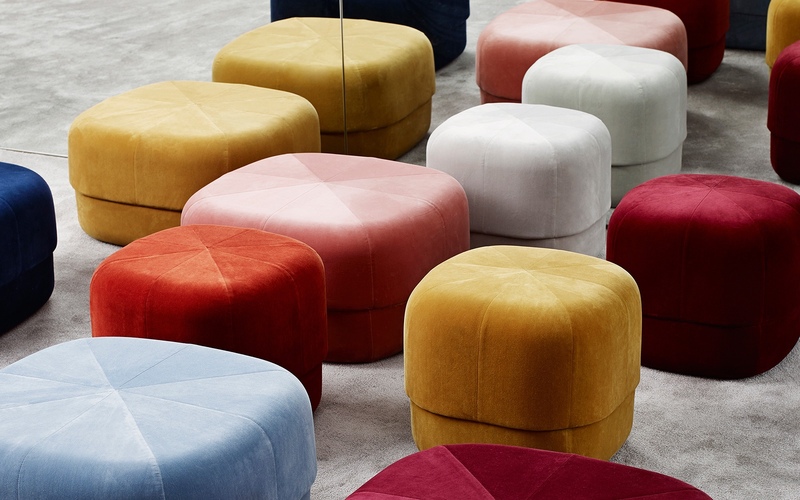 The Circus Pouf by Simon Legald for Normann Copenhagen. Large Circus Poufs pictured in blush velour. 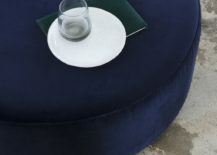 Small Circus Pouf in dark blue velour. 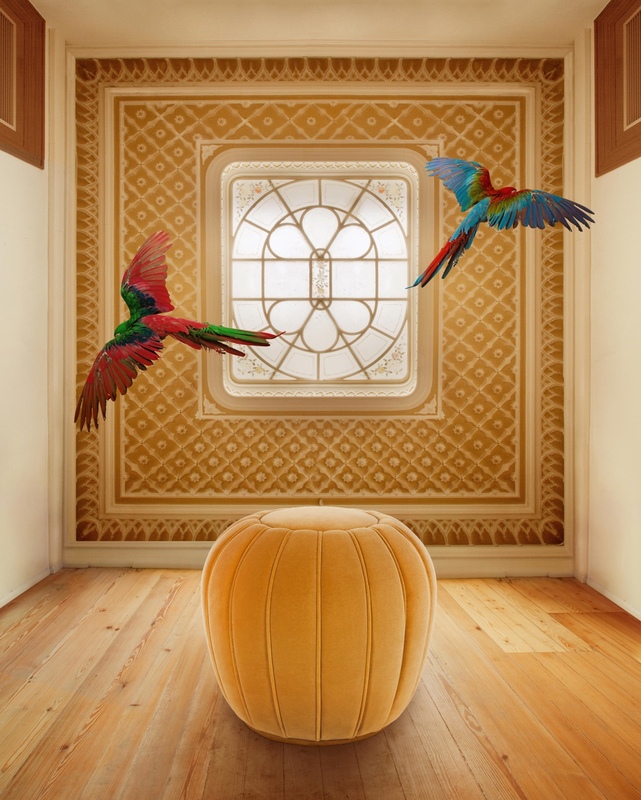 Circus Poufs in two sizes and a range of colours. 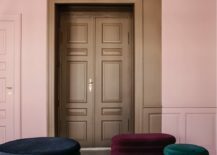 Photos © Normann Copenhagen ApS. 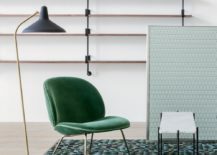 The extraordinarily talented Spanish artist–designer Jaime Hayon joined forces with Austrian furniture brand Wittmann, to craft and create the Wittmann Hayon Workshop. 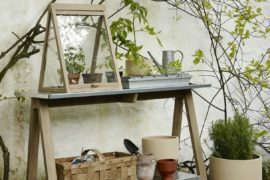 With a style described as ‘eclectic, exciting [and] Mediterranean-baroque’, the workshop’s designs embody a sense of vitality and confidence. 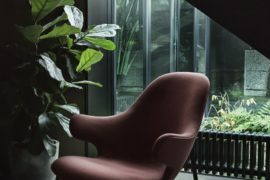 Several pieces from the Wittmann Hayon Workshop collection are shown with a plush velvet upholstery, including the distinctive Vuelta high back chair and Vuelta 80 lounge chair. 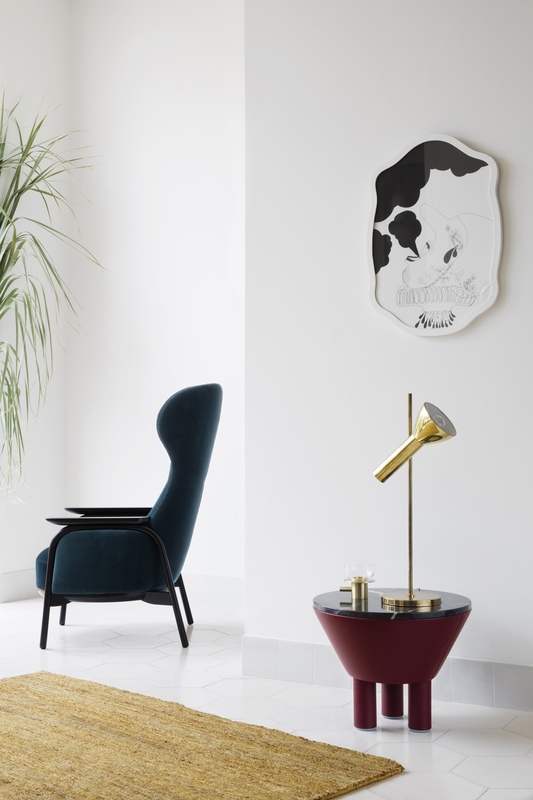 The Vuelta high back chair is a nod to traditional Austrian design. Created by Wittmann Hayon Workshop. The Vuelta high back chair. 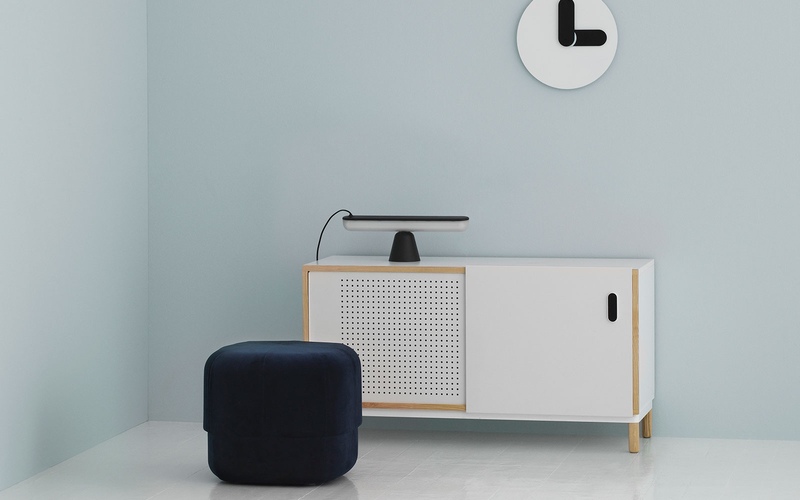 A firm part of the Copenhagen design scene, embarked on its creative journey in 2006. The brand’s distinctive wares are especially disposed to looking on the bright side. 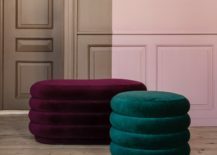 ferm LIVING’s shapely new poufs are upholstered in velvet. 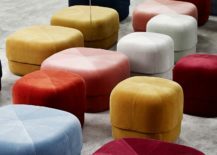 With their geometric lines and organic appearance, the poufs—available in three sizes, shapes and colours—are opulent and modern at the same time. 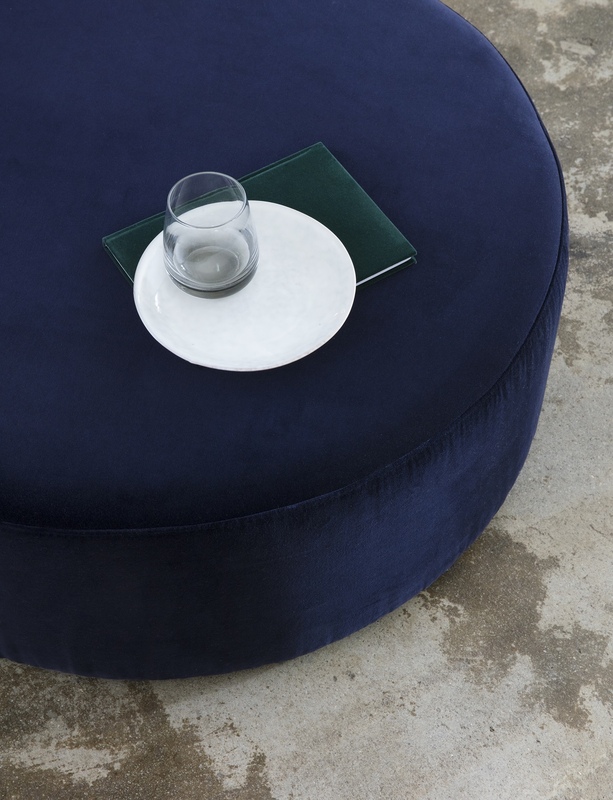 Medium oval pouf in dark blue velvet by Ferm Living. Large round pouf in dark blue velvet, medium oval pouf in Bordeaux velvet and small round pouf in dark green velvet. 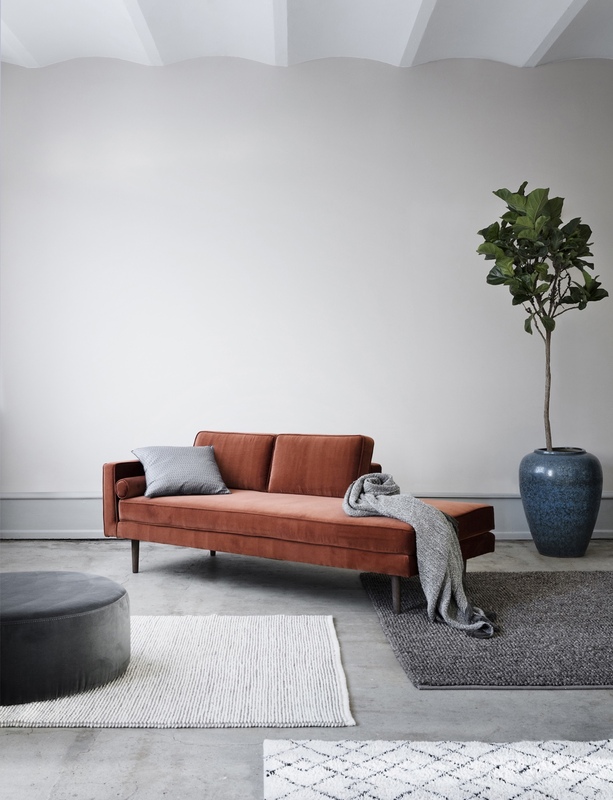 Photos © ferm LIVING ApS. 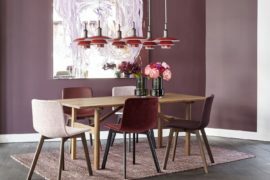 Based in Porto, Portugal, was established in 2008 as a furniture brand specialising in fine upholstery. 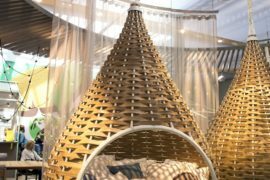 Combining traditional craft, creativity and innovation, Munna works with skilled Portuguese craftsmen, designers and woodworkers, to realise its various product concepts. A new product, the Mellow stool blends mid-century style with art deco panache. Available in two sizes, Mellow is eye-catching, sumptuous and plump. 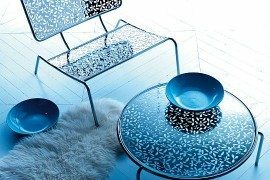 Mellow stool 70 by Munna. Studio is a partnership between Danish architect Stine Gam and Italian architect Enrico Fratesi. Merging tradition, renewal and experimentation, GamFratesi’s designs are aesthetic, intelligent, reflective and highly functional. 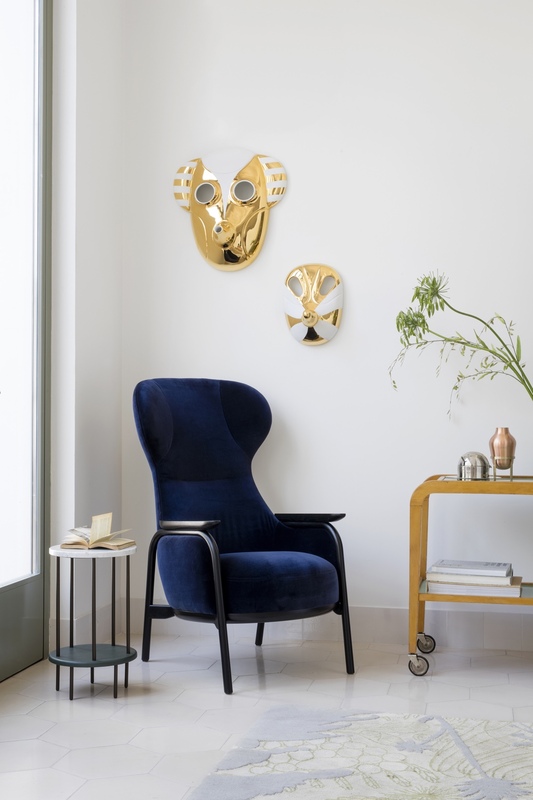 The studio’s Beetle dining chair and Beetle lounge chair for , with their characteristic beetle shapes, are modern-day design classics. 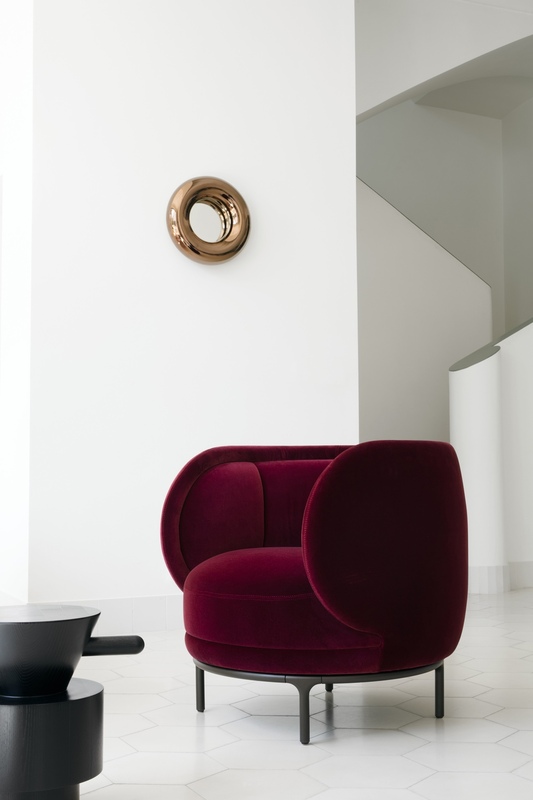 Covered in velvet, the Beetle dining and lounge chairs are appealing, charming and rather grand. 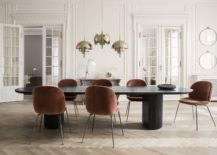 Beetle dining chair, fully covered in velvet with a conic base, by GamFratesi Studio for Gubi. 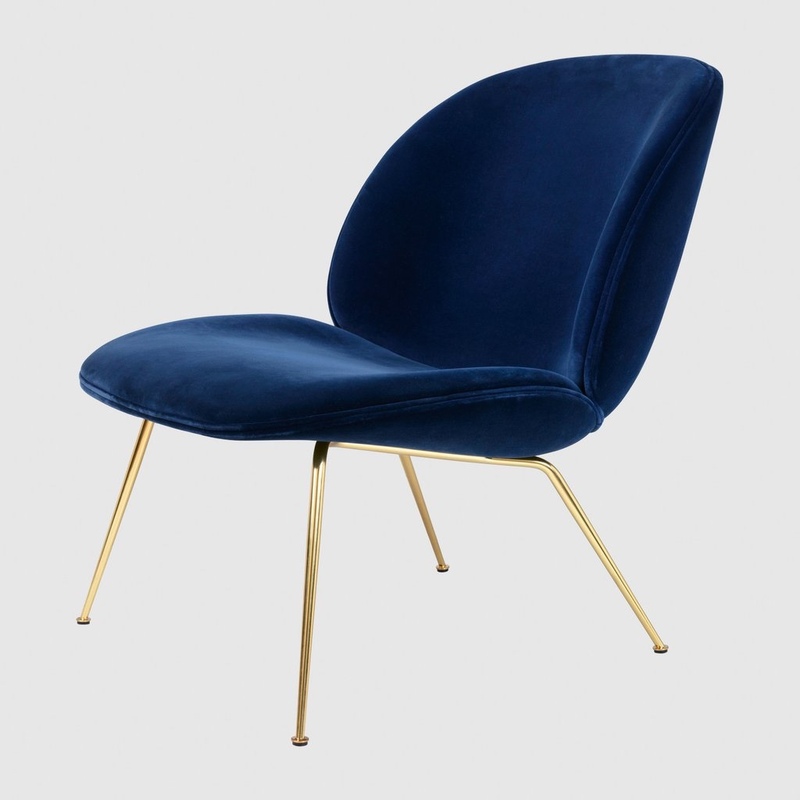 Beetle lounge chair, fully upholstered in velvet. Vogue.co.uk. (2017). Velvet Touch. [online] Available at: http://www.vogue.co.uk/gallery/celebrity-trend-velvet [Accessed 7 Sep. 2017]. Узнайте про полезный блог , он рассказывает про juvena киев.